Fancy a trip to Las Vegas? 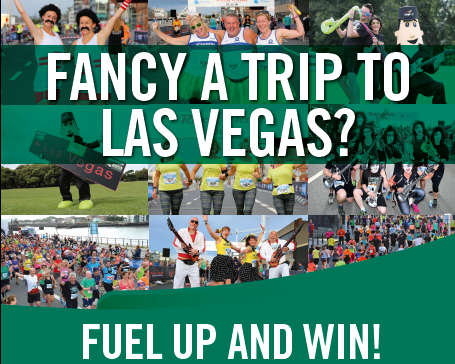 Spend €30 or more on Fuel or order your Home Heating Oil with Top Oil and be in with a chance to *WIN a trip for 2 with flight , 4 nights accommodation and entry to the Rock’n’Roll Marathon Las Vegas. More prizes to be won too! Participating Top Oil locations only. Entry through fuel purchase in store only. One entry per €30 spent in one transaction or minimum 1000 litres of Home Heating Oil. Entry through tick box on online ordering form or using Vegas17 code by phone. *Winners must be available to travel 9th-13th November. Prize includes 2 return flights and 4 nights accommodation.